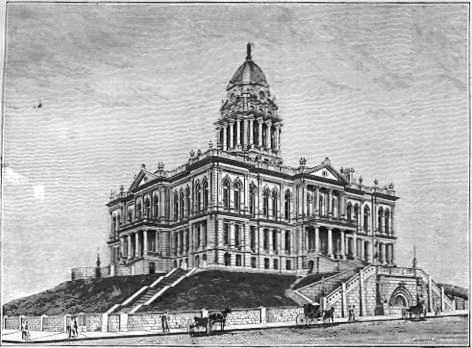 Legislature. Winchester, however, soon failed in his enterprise, and the brick had to be hauled from Council Bluffs. of M. C. Gaylord's child. Dr. George L. Miller was Omaha's first physician. He came here in the fall of 1854 from Syracuse, N. Y., accompanied by his father, Col. Loren Miller, who is now 88 years of age. The first practicing lawyers were A. J. Poppleton and O. D. Richardson. Both came here in 1854 from Michigan. in 1867. He was also County Clerk in that county, but resigned. He was elected on a non-partisan ticket to both the Nebraska State Constitutional conventions. 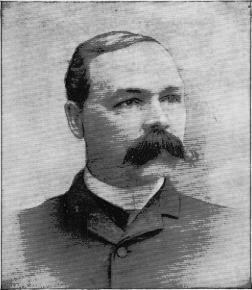 Mr. Boyd served as Mayor of Omaha for two terms, from 1881 to 1883 and from 1885 to 1887, being elected each time by a very large majority. He proved an efficient and faithful executive, and during his administration were inaugurated all the public improvements that have done so much to bring Omaha up to the rank of a metropolitan city. In the senatorial campaign of 1883 Mr. Boyd received the vote of the Democratic party for United States Senator against General Manderson. In the last presidential campaign he was a delegate to the convention which nominated Grover Cleveland, for whom he cast his vote. He is at present a member of the National Democratic Committee. 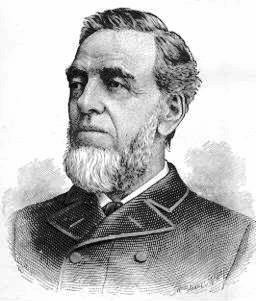 Mr. Boyd was president of the Omaha Board of Trade from 1881 to 1883. During his residence in Omaha he has taken an active part in nearly every public enterprise, and has always been considered as one of our public spirited citizens. Mr. and Mrs. Boyd have three children living--Eleonora, the wife of United States Marshal Bierbower, and Margaret and James E., Jr.